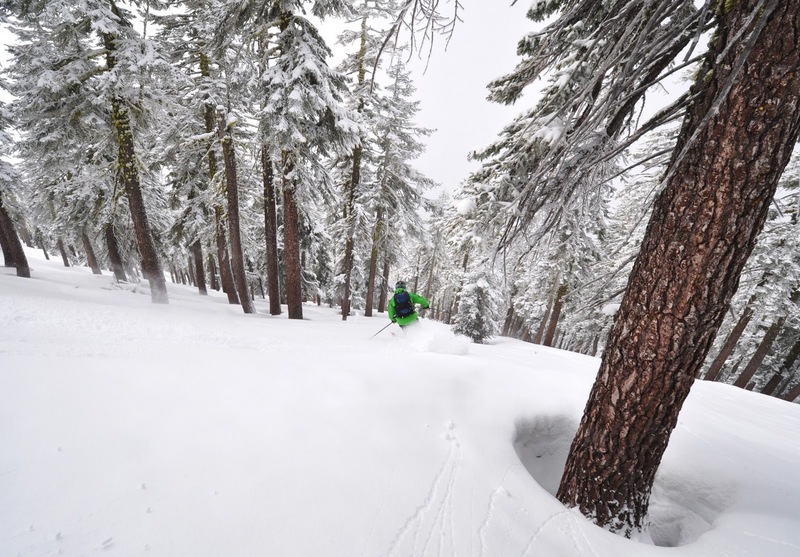 How many states can you ski in during 48 hours? I'm about to find out... next week I'm going on a business trip to Boston, and it turns out that I can save 1600€ in airfare by going two days earlier. Thank you airlines for your Saturday night stay ticket rules! You designed them to rip off the business traveler, but they've also been known to provide people much needed opportunity to adjust to the timezone or spend an additional day or two in an interesting city, all while saving our employer's money. So what's the deal with the skiing? I am ashamed to confess that I have never skied in New England. Its about time! My friends keep telling me about icy bumps -- as if they were a bad thing -- but I suspect this year may be different, with all that snow that has been dumping in east. I will arrive in New York, rent a car, and 48 hours later I must be in Boston for a meeting. I want to experience some good skiing and spend time on the slopes. Some off piste adventure would be a big plus. But I also want to see if I could "collect" additional states that I have skied in. I have skied in New York and Pennsylvania, but nothing else in the northeast. 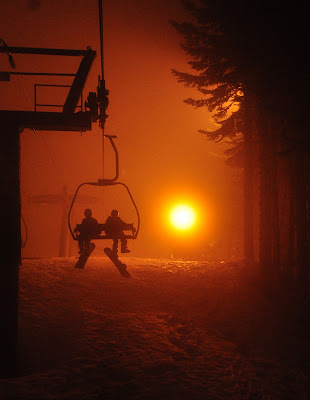 One idea is to catch some night skiing in Sundown, Connecticut on my my way up from New York. Then keep driving to Waitsfield, Vermont, spend the night there, and ski the day in Mad River Glenn. This place sounds very interesting! 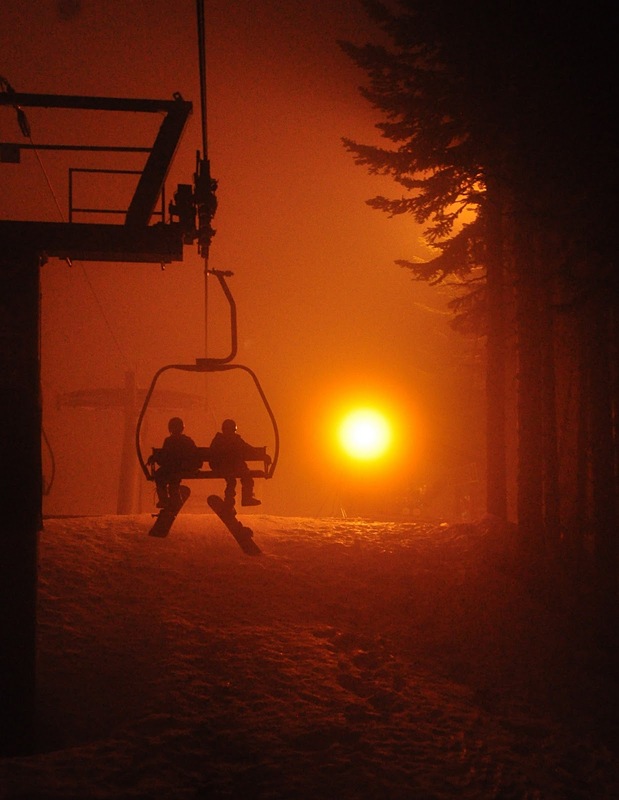 Sometime in the afternoon, get back to the car and drive to Bretton Woods, New Hampshire, and do some night skiing there. In the morning, drive down to Berkshire East, Massachusetts, and spend the morning skiing there. And finally drive to Boston. This route is 1303 km long, and that's quite a drive, even if split to five stretches. Are there other places that would offer better skiing? What interesting skiing is there in New England, to begin with? 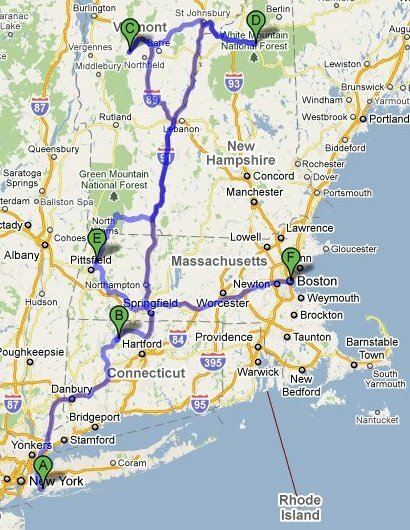 Can you see a shorter route that would enable me to cover four states? Is there something in MA that would be closer to Boston? What's the traffic like from JFK to Hartford, CT on a Friday evening?